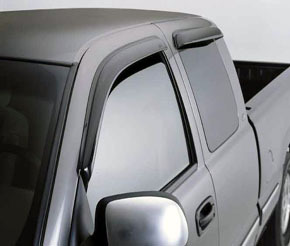 Auto Ventshade Ventvisor Wind Deflectors are perfect for keeping the rain out and letting fresh air in. They help safely reduce heat buildup in parked vehicles by allowing windows to be partially open, without leaving it vulnerable to theft or vandalization. Reinforced acrylic construction provides long-lasting durability. Dark smoke color compliments any vehicle's appearance. Easy to install with 3M brand OEM approved tape. 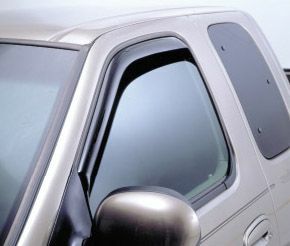 Auto Ventshade's landmark Ventvisor design, the In-Channel Ventvisor offers the same protection from the elements in a sleek, streamlined profile. With greater visibility and less wind noise, the In-Channel Ventvisor offers no-drill installation and a snug, secure fit. 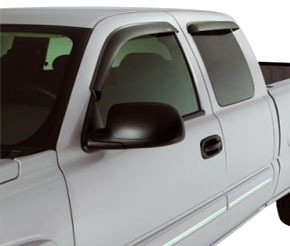 Ventvisor Deflectors are perfect for keeping rain out and letting fresh air in. 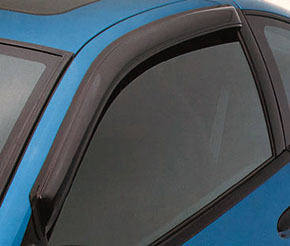 They help safely reduce heat buildup in parked vehicles by allowing windows to be partially open, without leaving it vulnerable to theft or vandalization. Reinforced acrylic construction provides long-lasting durability. Dark smoke color compliments any vehicle's appearance. Available in 2 or 4 piece set.